Lisa Nielsen: The Innovative Educator: IWB, I Loathe You! The Clever Board instructor started by showing the participants how to use the interactive markers and having them sign their name on the Clever Board. The instructor then showed them how to align the board using the Clever Board Tools. For the next hour the instructor showed them how to integrate the Clever Board clip art into their documents. Bill Perkinson the AP was attending the session and thought it was going rather well. Michael yelled, “What am I five years old? High School Math! We want High School Math!” The Clever Board instructor started to stammer. Clearly, he was not prepared for this turn of events. The Clever Board instructor attempted to find Math Activities only to be shot down again. Michael said, “Multiplication? You’re kidding me, right?” The Clever Board instructor then said that he would install the Clever Board Geometry Pack and asked the participants to take a 15-minute break. WARNING- YOUR SYSTEM HAS A FATAL ERROR DUE TO THE INSTALLATION OF CORRUPT SOFTWARE. PLEASE CONTACT YOUR SYSTEMS ADMINISTRATOR IMMEDIATELY. Michael Lotta could not be happier and said, “I give this instructor an Unsatisfactory.” The other High School teachers started grumbling as well and joined in the festivities. Bill Perkinson was beside himself. He understood that this Clever Board workshop really stunk and would reinforce Michael’s biases. It would also probably sour the other Math teachers to this kind of technology. The nerve of some people, trying to teach math instructors some obscure stuff they'll never use again. Great comment. It definitely gave me a chuckle. Kidding aside, all too often PD providers try a one size fit all approach with no regard to their audience which can have unfortunate consequences. 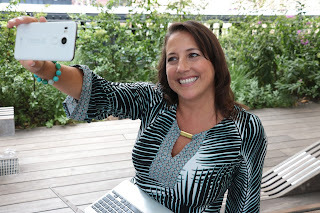 There's GOT to be a revolution, rethinking, and retooling of our expectations of vendors. They can't just squeak by anymore by offering a half-day in-service. Vendors need to offer more than a mere sale; they need to commit to schools long term, at least five years. They need to support their schools by creating digital content for them and showing educators how to use use this equipment beyond the minimum, limited PD. Teachers are at different levels of comfort with technology and most teachers need ongoing support. Vendors need to be curriculum specialists, not just salesmen. Well said. Interestingly enough, the UK is moving to require all IWB vendors to use a Common File Format for the distribution of their IWB content. I think we need to be willing to pay a bit more for specialized PD. The canned PD is fine to get to know your equipment, however, proper content area integration goes beyond what the standard 2 day PD package should be expected to provide. Effective PD, after all, is not a one shot deal; rather, it is an ongoing effort to strive for and reach proficiency among the majority of staff. Is it important enough to pay a couple thousand extra for this extra PD? I think so. You're so right! SmartBoard vendors are stinky patooties. The Promethean folks aren't much better. Anybody want to make a vendor-neutral IWB training manual? I'd like to chat with you about your blog post and your blogs, and I'm interested in this standard in the UK you are talking about and would like to know more. You can find me on twitter @edreformer or you can visit our website and leave a comment. Looking forward to talking. My Boss thinks I'm crazy and gets very frustrated that my desktop is a mess of icons... but he doesn't force me to go to a clean desktop. Why? Because he knows it works for me. My job is to present IWB demonstration and training to teachers. So on my desktop is at least one FREE or Open source application that integrates into at least one learning area. Every time I do a demo or training session I find out who my audience is and show them something free that they can integrate into their teaching - even if they don't get an IWB. e.g. High School maths: - Geogebra, CAR Metal, Google Sketchup - then websites like Gapminder. Eric I agree with you to a point. However, I believe that IWB vendors should provide quality PD whether its free or for pay. After all, they are making tons of money selling this equipment. I think they can afford providing better PD. Hall, my issue is not with the IWB. I take issue with canned PD. PD should be individualized to meet the particular school needs for ELA, Math, or whatever content they are targeting. It sounds like you are doing that and I applaud that effort. Doug I will be glad to drop you an e-message. I am a bit busy preparing several grants. However, I will try to get back to you when my schedule is a bit lighter. One other point to note is who is actually doing the PD or training for the schools. These companies are manufacturers for the most part, and the companies you purchase from are the distributors. Let us not get upset with Sony because Target didn't train us well on how to use our remote or provide qualitative PD on how to improve our overall viewing enjoyment. If you went to Sony's website and were willing to purchase training from them or use their free resources, the difference would probably be 180 degrees. Learn about the systems, where your checks are going and what the difference is between Professional Development and Training, and I think you'll find where your real issues lie. I think it's good to be aware of all the new technologies out there, especially if they are there to help the teacher out in the classroom. However, I feel that forcing different things into the classroom is not necessarily a good thing. If something works for a teacher and the students, why force change? But if change is forced, then there should be very informative, thorough and recurring workshops to fully prepare the users. That way, the most of these new technologies will be incorporated into the classroom. I have spent time at a PD where I wish that would have happened. Instead, it was a long day of watching someone who showed us how to add pictures and play games. I think it’s great that you can put dice up on the screen and tap the screen to make it roll. However, I can just put dice on the ELMO and project it. I really do wish that I could go to a training that would take lesson plans and show us how to make them better by using the Smartboard. Another thing I’d like to see is for the presenter to ask us what units we are teaching and relate the work to that. I find that I have this large board in my room that is used as another screen for the projector. I would love to use it more effectively but have not have the training. I personally think that smart boards are amazing. It doesn’t only act as a large computer but it is also touch screen where the students can actually do the problems right on the board where everyone can see. I think that if the instructor wasn’t so rudely interrupted and put on a spot like that he would have demonstrated some amazing material. This smart board can be used for so many different subjects. The more fun we have the better we learn. Also, I think that smart boards are more suitable for the younger kids. I worked with smart board and I think its great. When I first was introduced to a Smart Board I did not know anything about it besides what I observed other teachers do. I saw them use it for presentations or movies, but all I kept thinking was there were too many steps to take and so many problems that can occur using this new technology. I myself am a whiteboard kind of guy with colored markers. I think the system is great for slide shows, PowerPoint’s, movies clips, and things like that. I will never understand why some people decide to use those electronic markers that never seem to write in a straight line or maybe it’s just me. I guess you need some special talent for that because I cannot do it. I see that these smart boards are taking over in many classrooms in my school district, elementary and especially in the high schools. The workshops that I have been told about have been helpful and work in a positive way, unlike the above story. I can only imagine what it would have been like to be present at a teacher-training workshop such as that article. I hope I learn the ways to use the smart board that can be appropriate for the grade I am teaching. I am all for new technology and having fun while learning but I am starting to feel that the basic fundamentals of teaching are disappearing. Everyone is using technology and it almost gets me nervous of what classrooms will look like in a few years. In my school, smartboards are used in many of the classes but some teachers feel like they are a waste of space, as did Michael Lotta. For a lot of teachers, I feel that the reason that they don't use it as often as they're expected to is because there hasn't been proper training for it. We were offered an hour and a half course on how to utilize the smartboard in our rooms and in the hour and a half course, I can honestly say, I still have no clue how to use it. If schools expect us to be able to use smartboards efficiently and effectively, they must train us thoroughly so that we know how to use it inside and out. In the meantime, they really are, in many classrooms, just a waste of space. It's hard for teachers to try to teach themselves how to use it because a lot of the teachers don't have much technological knowledge. So, in order for smartboards to be effective in schools and for teachers to be interested in using them in their classrooms, I feel that there must be better, more in - depth training. As a substitute teacher, I have covered classes so the teacher may attend a PD. Since I haven’t had the opportunity to attend one myself, I can only listen to feedback. More often than not, teachers seem to be annoyed that they are being pulled out of class to attend a training they feel to be unnecessary. I think it is important to go in with an open mind, but just as a teacher should be able to grab a classrooms attention effectively, the PD instructors should do the same with an item that will be useful for that grade and class. I have only been called to sub in elementary schools. In the schools I have worked in, every classroom has a Smart Board. Some teachers make it their main focus of teaching, while others don’t. My experience with the Smart board has been a learning process. I know some of the basics from observing other teachers, and even more from the students. I hope that I can strengthen these skills so that I can apply it in the classroom. I’ve found that if you ask a class to answer a question verbally you might only get three volunteers, to answer it on the Smart Board you’ll get ten. I have never used a smartboard before. I know it has been here a while. I have seen teachers use it in other schools and it looks like a great tool to have. My school is trying to get the teachers to use smartboards next year. There is no doubt that there will be a better and newer technology out there to replace the smartboard. I also think that teachers should take the opportunity to gain any type of technology info that their schools are offering. It is better to know how to use the technology than not nowing at all. Learning how to use it does not mean that it will be great for your lessons, or your students, but I think it is good to have options. I think that PD sessions are important if teachers are to learn to use new strategies and tools in the classroom. However,in my experience,too many actives are usually planned for PD sessions. This often results in participants being saturated with information. Even though smart boards are a useful tool for teaching,they are very expensive and are not a very cost effective option for developing countries, like the one that I come from. Hazel - Your comments about the cost are so true. Stella- I agree; learning how to use the tool is definitely a good idea. Kyrie- I found your experiences very interesting. Christie- Your comments about the PD address the heart of the matter. John- Your concern is valid. In truth the art of educating is a balancing act which we must adjust as needed to best meet the needs of the children. Diana- Thank you for sharing your experiences. It is true that children for the most part find the Smart Board very motivating. Melissa- You are correct. All too often the PD neglects curriculum integration. Jenny- I found your point very interesting. Technology in the classroom is still new to me. I 'm intimidated by the thought of using a blackboard in a classroom. However, I see and understand the benefits of having a Smart board. At the same time, if the teachers are not well trained to use the blackboard it minimize it usefulness. We all should be life learners and should always leap at every opportunity given to sharpen our skills in this every changing world. I read the article,and I feel that could be happening to anyone you has not been trained properly on how to use the new devices technology has to offer.I hope by the time I graduate, to be more familiar with all the fancy devices that are out there in order not to be embarrass in front of my future students. I believe smart boards are a great motivation to teach in a classroom. Gives the students sort of a hands on experience. Teachers should be well educated on how to use the smart boards so this way it doesn't stress out the teacher or the student in the classroom. Due to the SMARTboard becoming so popular when I was completing my undergraduate degree, A lot of my undergrad classes in my Elementary Math Ed program were based around how to use the SMARTboard for mathematics lessons. So, even though this past year was my first year of teaching and my first year with my own SMARTboard, I was further along than my other collegues. I do see where you are coming from though. My school just recieved ten SMARTboards from a grant this past school year, and I work with a lot of older, retired, NYC teachers who were not into the new technology so we had many PDs. The woman who came to us from SMART, held different sessions for different teaching areas and this situation didn't really apply. This is probably due to the fact that all the other teacher were such beginners, that they weren't asking these questions. They just needed to learn how to pick up the markers and how to align the board. I agree that some PDs can be, as you say "a one size fit all approach with no regard to their audience," however in regards to the IWB, I love them! I think smart boards are a fabulous tool for teaching and learning. It is possible that I am biased towards their usefulness in elementary education as opposed to high school, but I still think they have a plethora of advantages. Taking the place of regular white boards, there is so much you can do with the interactive capabilities of an IWB. Not only do they create a much more visually stimulating way of delivering instruction, they enable students to have hands-on involvement with the material. Students get so excited to have the opportunity to come up to the Smart Board and contribute to a lesson. They are engaged in their learning when viewing the special effects used with IWB technology. Like many of my peers, I was introduced to the Smart Board during my undergraduate teaching program so I have become familiar with their use and capabilities. I can understand how it just adds one more thing to older teachers plates and can seem like an imposition. However, learning a little bit at a time and just having a chance to play with and explore all that Smart Boards have to offer, I think teachers like those mentioned in the article, would change their minds. 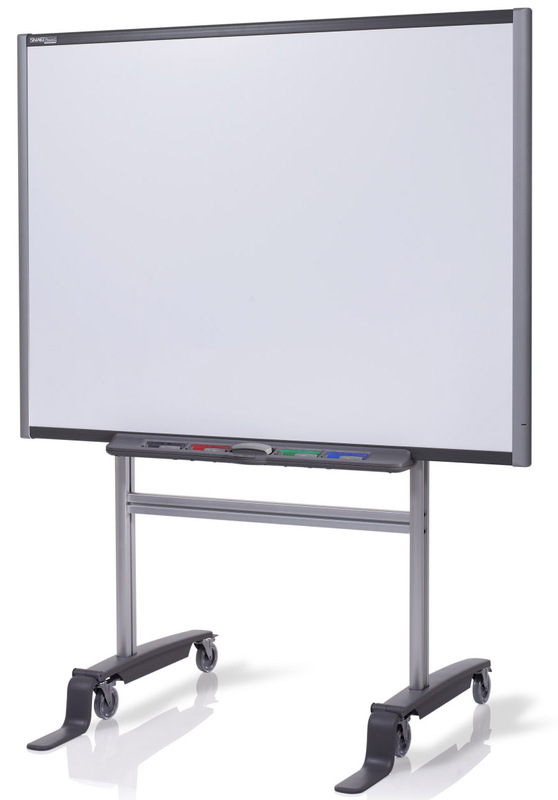 Smart Boards are a wonderful addition to the classroom and only aid in grasping childrens attention and helping them achieve success. There are so many PDs like this where the presenter doesn't engage their audience. However, I think this teacher was rude. He was acting like a disruptive student. He didn't even give the presenter a chance. Change is not an event, its a process. You have to "move with the cheese." You can't become complacent in any line of work. Good teachers are life long learners who readily embrace new information in order to turn key it back to the class room or another collegue. I agree with Roxanne. I feel that some people are just unwilling to change with the times. Instead of being open to new ideas, Michael acted rude and obnoxious. My experience with the Smart Board training was the complete opposite. My presenter was really knowledgeable and I couldn’t wait to show him the interactive lesson that I created over the week and to learn more the following week. He gave us many ideas to create lessons that were both stimulating and motivating for the students. Even though I am an elementary school teacher, I feel that if Michael went into this training with an open mind, he could have walked away with at least one good idea that he could have used in the classroom using the Smart Board. Yes, PD’s should be differentiated and not all PD’s have a “one size fits all” approach. However in this situation, I feel that that wasn’t the underlying issue. I have not had any experience with Smartboards. But I do hear alot about them in classes that I take. Technology is always motivating for students, especially when they can interact with them. Most importantly, teachers need to know how to use and apply them in the classroom. In order for teachers to want to use new technology, they need to see that it works and learn how to work them, otherwise it is useless and will not be used. Incorporating new technology in the classroom is great as long as the teacher is able to really understand how it works. Otherwise, the lessons can turn out to be a complete and total disaster. For this reason, instructors should clearly demonstrate the item’s capabilities in a way that is clear and coherent. Instructors should be able to show how it can be used in the classroom as well as how it is relevant to the material in the curriculum. Teachers should have the opportunity to experience the different things that can be done before they are used during a lesson. These boards could be great tools that could make a lesson fun and engaging as long as the teachers feel comfortable using them. Teachers must be patient and willing to learn new things to help students learn in a fun and meaningful way. Torres, G.
In my opinion SMARTboards are one of the best inventions around. It not only helps the teacher with his/her lessons but the children learn a great deal from it. I am a substitute teacher and never having my own classroom to experiment with the SMARTboard and never being taught how to use it I went into the classrooms I subbed having no clue how to work them. Almost every time I went into a classroom, no matter what grade it was at least one student knew how to work the SMARTboard. It amazed me that no matter how old they were they knew exactly what to do and taught me how to use it. In regards to what was stated in this article about what occurred during the workshop shocking. I could understand how someone would get upset if they went to a workshop and the presenter didn't know everything about the topic. To behave the way that he did though was very immature and not acceptable. I agree that it is very important to know your audience and to prepare for them. Obviously, it was inappropriate (and probably boring) to show high school math teachers elementary math applications. The Clever Board instructor should have been prepared to show the high school teachers how to use high school level (provided the Clever Board had such features) applications. I don't think that Prof. Gutnicki's article is against technology in the classroom. However, I think that it calls for useful and appropriate applications. Just as teachers have to know the needs of their students in order to teach effectively this instructor should have known the needs of his or her audience. Personally I think that smartboards are awesome. The teacher seemed so closed minded to the idea and the instructor. Yes, the instructor may not have considered the target audience, but why not take on that challenge and learn for yourself whether or not this new technology could be useful for your students. I have never used the smart board but from whatI hear from teachers in my classes is that it is a great asset and helps students learn the material in a hands on more interactive way. Newer teachers are very proficient with modern technology, and I think that the use of the smart board if used to its potential can be a great asset. Older teachers may reject the newer technology as they may be intimidated by the smart board. It is very important that all teachers are well trained in the technology so that they are able to use it. I LOVED this post. It reflects the feelings many of us had when we had to adopt the Smartboard. I LOVED using the chalkboard and easel. I couldn't imagine playing around with a computer and could have found about 50 other uses for the money that was spent in bringing them into every classroom. Yet, after two years of usage, almost all of us love it. Once you've learned how to use it, it does make your job easier and allows you to integrate technology a lot better. Also, the professional development personnel should be more adept at using the materials to ensure we, as teachers, who have had too many changes in the school system, are willing to accept those changes.